Founded in 2001 by Leo J. Shea III, Ph.D., we provide neuropsychological evaluation and treatment services to individuals diagnosed with neurological, tick-borne and autoimmune disorders. Since it’s inception, we have opened offices in both New York City and Boston. Our patient base is both national and international. Neuropsychology is the study of brain-behavior relationships and how brain mechanisms mediate human behavior. Clinical neuropsychologists use this knowledge to evaluate, treat and rehabilitate individuals with cognitive, emotional and behavioral problems. Our mission is to offer customized psychological care to individuals with neurological disorders, traumatic brain injury, Lyme disease and other tick-borne illnesses, CFIDS, chronic illness, learning disabilities and those who have experienced trauma and loss. We offer a variety of evaluation and treatment options for children, adults and families. Our focus is to increase awareness and understanding of the injury/illness and its impact, facilitate improvements to optimize the quality of daily life and to promote an understanding of the role of resilience in healing. An important goal of our comprehensive services is to enhance individual and family understanding of the emotional consequences of illness, injury and normal life stressors. We offer a variety of services including but not limited to Neuropsychological Evaluation, Psychotherapy, Cognitive Remediation and Consultation. Please refer to our Services page for additional information. Individuals are generally referred by neurologists, family physicians, pediatricians, mental health professionals, rehabilitation specialists, attorneys, educational specialists and corporate and institutional representatives. Self referrals and parent referrals are also accepted. A neuropsychological evaluation is often requested when there is either an injury or illness, that affects brain functioning. The evaluation usually consists of four components: 1) an initial consultation interview, 2) neuropsychological testing designed to assess cognitive, emotional, behavioral and interpersonal abilities, 3) consultation with the referring physician and 4) a feedback session to discuss the results and recommendations. The evaluation delineates brain-related difficulties across a variety of skill domains and recommends treatment interventions designed to remediate documented difficulties. Psychotherapy begins with the development of a relationship between therapist and client. It involves applying a set of techniques intended to improve mental health. Patients can present with issues that involve psychological, behavioral, social and somatic dimensions that often make it difficult for them to manage their lives and achieve their goals. Psychotherapy attempts to help individuals, couples and families through the utilization of a variety of standard and eclectic treatment approaches. N-E-T-S offers individual, couples, family and group psychotherapy. N-E-T-S offers seminars and workshops customized to meet the needs of professional and community organizations, school systems and corporations. Through our PREP workshops we provide training to enhance communication skills for couples, families and corporate/management teams. Consultations are available to address clinical, academic or professional issues including case consultation, Independent Psychological Evaluations (IPE), executive coaching and organizational contingency/disaster planning. Leo J. Shea III, Ph.D. is President of Neuropsychological Evaluation and Treatment Services, P.C. with offices in New York City and Quincy, Massachusetts. His practice focuses on traumatic brain injury, tick-borne diseases, chronic illness, forensic work and trauma and provides cognitive remediation and psychotherapy to individuals and families. Dr. Shea is a Senior Staff Psychologist and Clinical Associate Professor of Rehabilitation Medicine at Rusk Institute, a division of the New York University-Langone Medical Center. 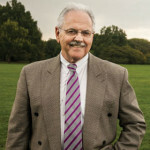 Prior to his present work with tick-borne and immunological disorders, he was Assistant Director of the NYU Brain Injury Day Treatment Program. 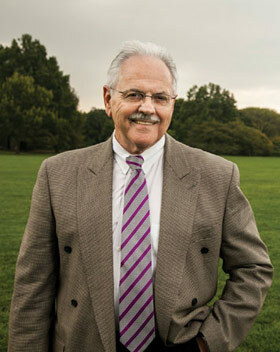 Apart from his academic and clinical responsibilities at NYU-Langone Medical Center, Dr. Shea has served as an organizational consultant to national and international corporations on human resources, administrative and executive training and development, trauma response and health care issues. His clients have included both political and public institutions, such as the United Nations Development Program. Dr. Shea is presently the President of the International Lyme and Associated Diseases Educational Foundation (ILADEF) and is Immediate Past President of the International Lyme and Associated Diseases Educational Society (ILADS). Dr. Shea holds an Ed.M. in Counseling Psychology from the Harvard Graduate School of Education, an M.A. in Hispanic Pastoral Ministry from Barry University and an M.S. in Clinical Psychology and a Ph.D. with a dual specialty in Clinical Psychology and Clinical Neuropsychology from the Miami Institute of Psychology. Apart from his academic degrees, he is a graduate of the Organizational Development and Consultation Program at the William Alanson White Institute for Psychoanalysis, Psychiatry and Psychology. Dr. Shea moderated the International Lyme and Associated Diseases Society European Conference in Helsinki, Finland in June 2016. On June 6, 2016 Dr. Shea led a webinar with the Acoustic Neuroma Association on the Cognitive and Emotional Issues Associated with Acoustic Neuroma.